At a recent Women’s Studies Colloquium, Dr. Eric Dursteler presented a lecture about the Early Modern Mediterranean as a cultural melting pot. His research suggests that not only men but also women were widely multilingual in this environment. PROVO, UT (Sept. 15, 2016)—When Lady Wortley Montagu visited the Ottoman Empire for a few years in the first half of the 18th century, she named it the Tower of Babel because of the large number of different languages she heard spoken. The entire Mediterranean region in the early modern period was extremely multilingual and culturally diverse as the search for exotic items and valuable slaves moved people across cities and languages. Eric Dursteler, professor of and chair of the History Department at BYU, presented “Of Women Learned in the Tongues” at a recent Women’s Studies Colloquium. His lecture discusses the multilingual nature of women, especially in the context of the popular but erroneous idea that women’s involvement in a predominantly domestic sphere inhibited their ability to learn multiple languages. “For Europeans traveling in the Mediterranean, one of the things that struck them the most about the region was its multilingual character,” said Dursteler. He went on the explain that in a single household, like in that of Lady Wortley Montagu, ten or more languages could be spoken by inhabitants, servants, and slaves. While men might have experienced more linguistic diversity in public spheres like a marketplace or government hall, women played crucial roles as cultural intermediaries, navigating mixed marriages or serving as domestic servants. Their role as domestic helpers especially allowed them to become much more versed in multiple languages than their male counterparts working in the fields. “I think the domestic spaces might have played a role in enabling women’s multilingualism rather than preventing it,” commented Dursteler. Dursteler also explained the importance of the harem as a multilingual organization. 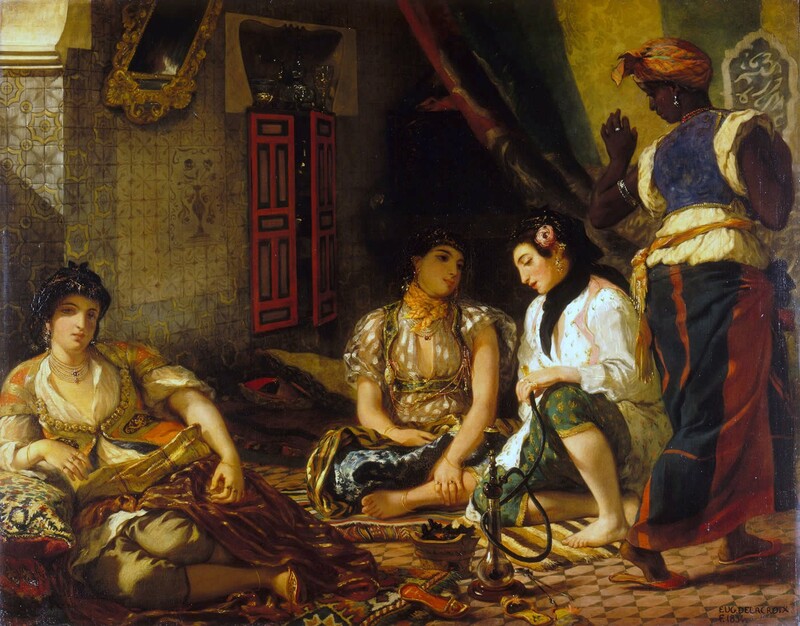 Often the women of the harem were from locations spanning the empire with many different cultural and linguistic backgrounds. The young sultan would be raised in the multilingual harem and retain his language ability by consorting with his personal concubines when he came to power. The position of concubine not only influenced the sultan’s linguistic ability, but the diverse cultural backgrounds and ideas of the harem also affected state policy. “The very situation of the concubines in the harem gave them tremendous political power because of their personal and direct access to the sultan. Almost none of the men in the empire could access the sultan but these women’s everyday access and contact with him which gave them tremendous influence,” explained Dursteler. Dursteler also identified brothels, convents and trade organizations as centers of multilingualism. Women from all over Europe would travel as prostitutes, convent students and traders to help the spread of multilingualism and become proficient in other languages. Multilingualism proved an important asset to their communities, as these women would be less dependent on interpreters and more able to engage in the social and economical spheres in their home countries. Hannah covers events for the Women’s Studies Department for the College of Humanities. She is a junior pursuing a degree in art history with a minor in art.